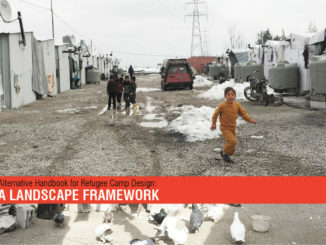 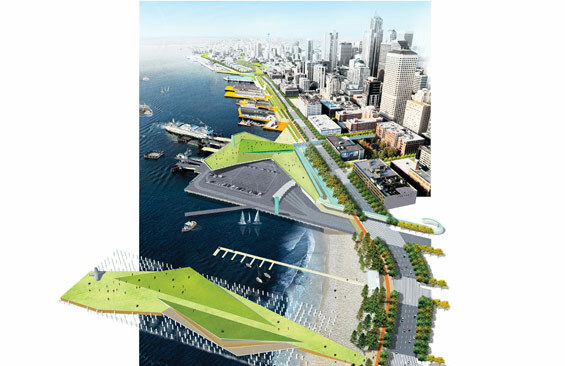 We reported back in September 2010, James Corner Field Operations has been selected to design Waterfront Seattle by the Seattle Parks, DPD and SDOT after beating out Wallace Roberts and Todd, Michael Van Valkenburgh and Associates, and Gustafson Guthrie Nichol. 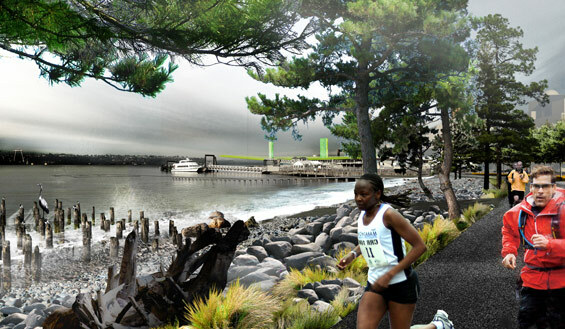 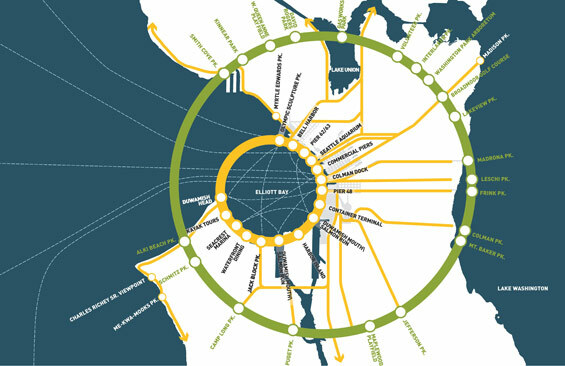 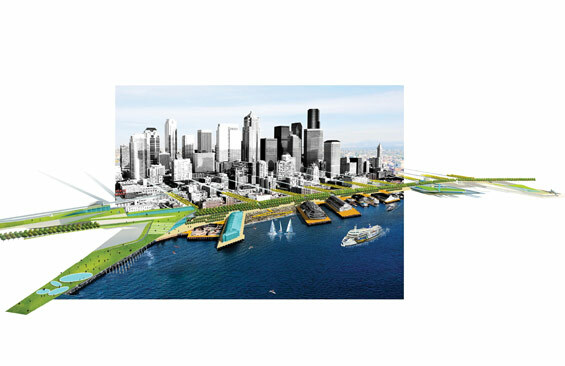 Recently the first designs for the Waterfront Seattle have been unveiled which creates an unparalleled opportunity to reorientconnect Seattle with Elliott Bay, and reclaim our waterfront as a public space for the entire city. 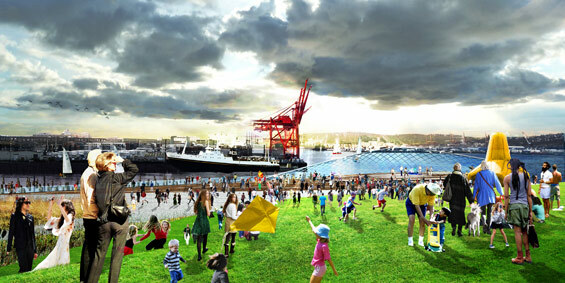 James Corner Field Operations has introduced ideas for new uses and activities that make the Waterfront Seattle a truly great place to be, including event spaces that bring back the magic of the concerts on the pier. 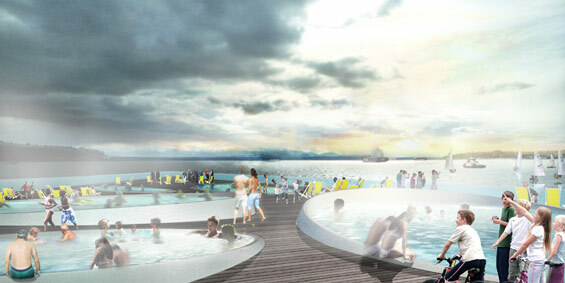 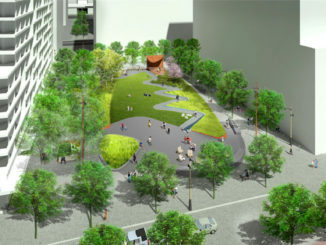 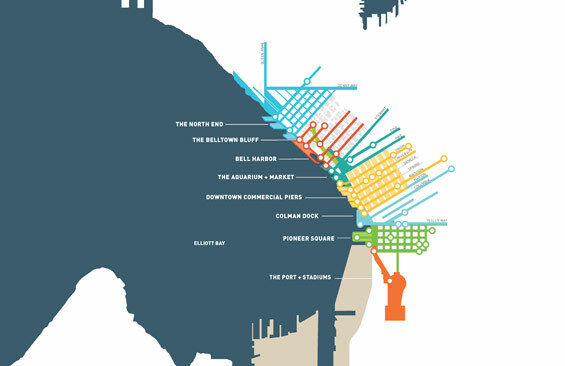 The design team has also made the new waterfront more accessible to other parts of the city, for example by physically connecting the Pike Place Market at Victor Steinbrueck Park to the waterfront near the Aquarium. 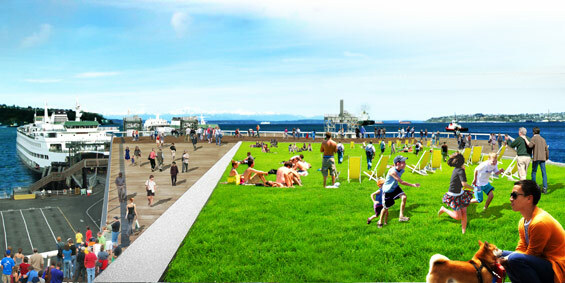 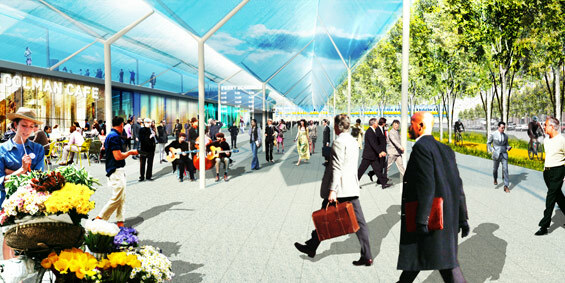 The ideas and analysis of the Waterfront reflect the input from nearly 2,000 public responses and meetings with the public.